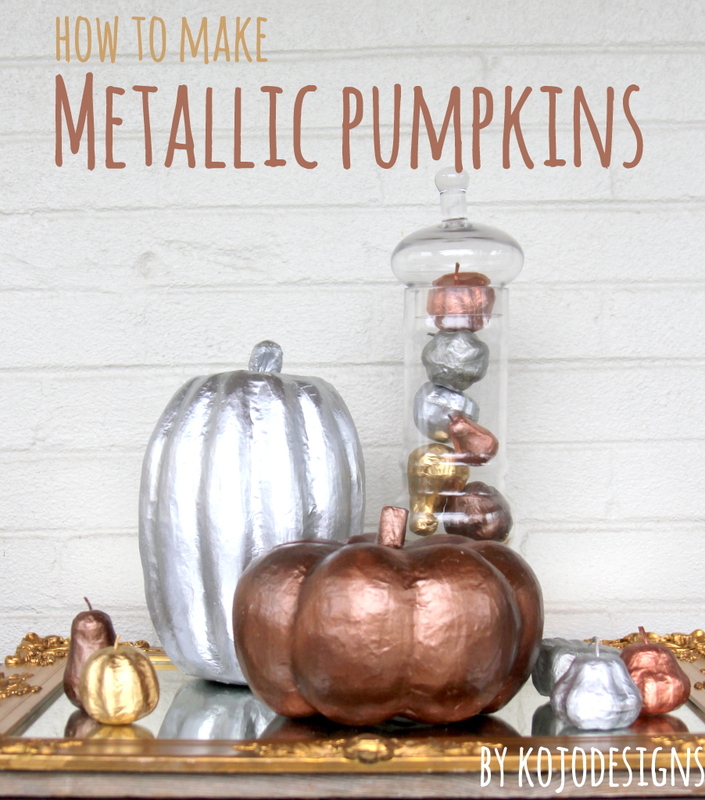 Last week, we shared this metallic pumpkin how-to at Spooktacular and thought we’d share it on here as well. 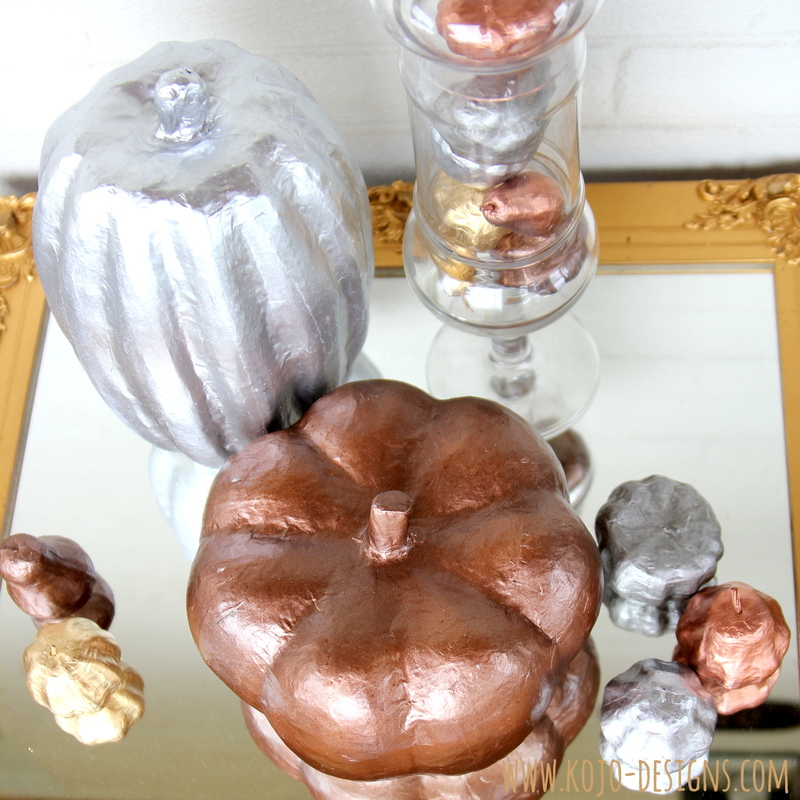 These fabulous goodies combine two of my favorite things- pumpkins and metallic spay paint! 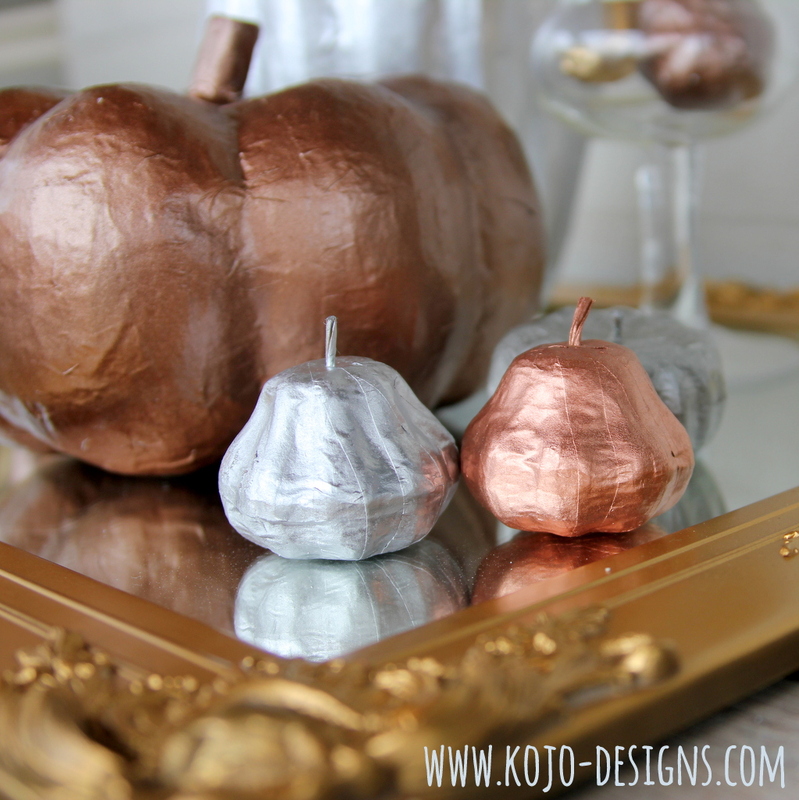 Spray all of your pumpkins with flat white spray paint or primer. This step is optional, though the extra coat of spray paint makes for less coats of the more-expensive metallic spray paint since the paper mache really soaks up the paint. After letting the white coat dry (15 minutes-ish), add a coat of metallic spray paint. 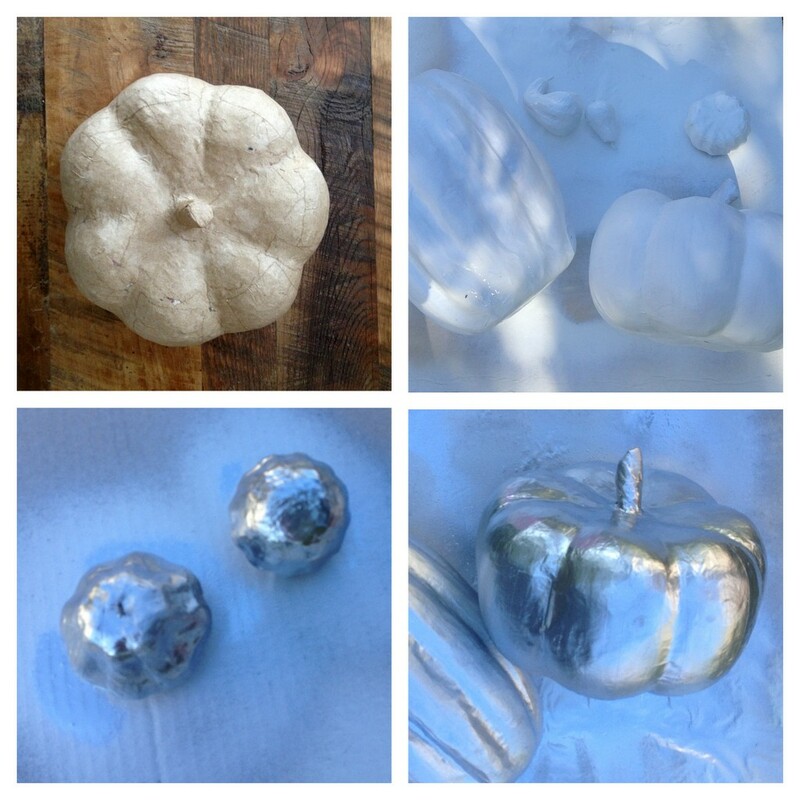 Wait until the paint is dry to the touch (again, 15 minutes), turn the pumpkin and spray again. Repeat if necessary. 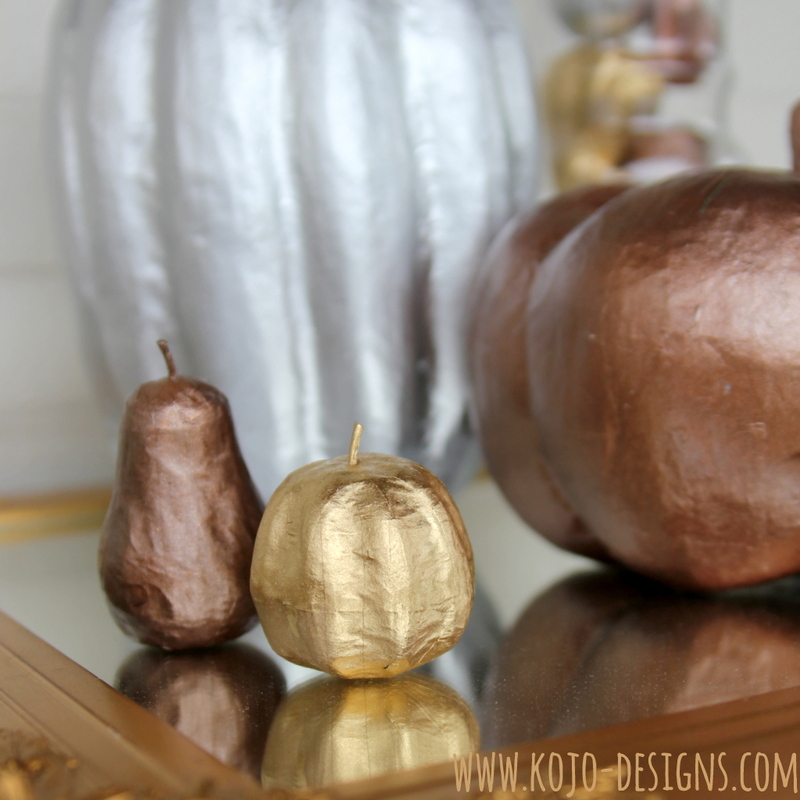 And there you have it- metallic pumpkins ready for adding a little fall-ish flair to porches and mantel alike!